Item # 308518 Stash Points: 5,995 (?) This is the number of points you get in The Zumiez Stash for purchasing this item. Stash points are redeemable for exclusive rewards only available to Zumiez Stash members. To redeem your points check out the rewards catalog on thestash.zumiez.com. 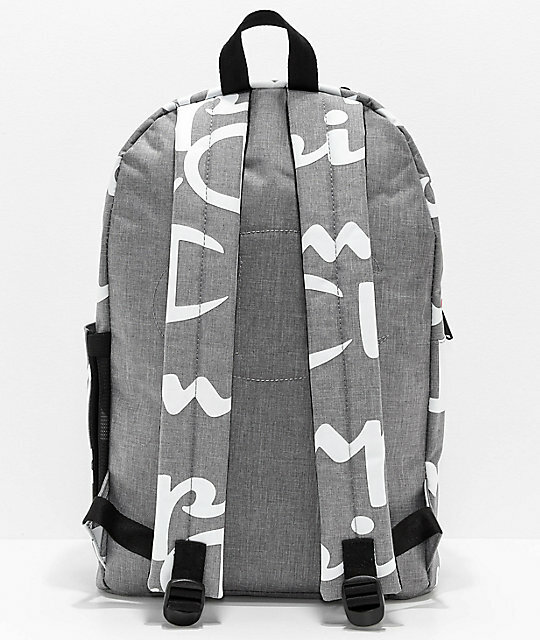 Pack for the gym, school, or a weekend trip with the Supercize 2.0 Grey and White Backpack from Champion. 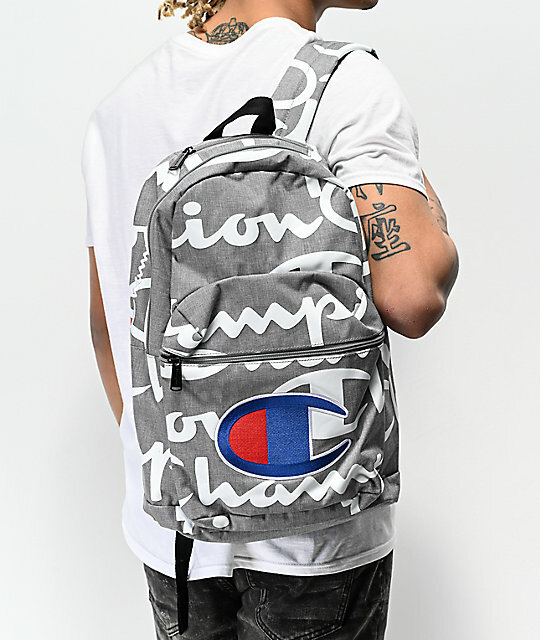 This heather grey backpack features white Champion logo script printed throughout, and a large embroidered Champion "C" at the front panel. 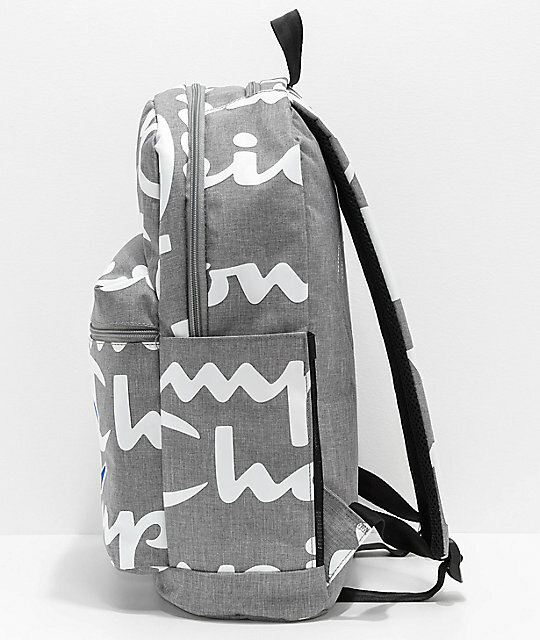 A padded back panel and shoulder straps are added for comfort, while a roomy main compartment, fleece lined sunglass pouch, and external zip compartment offers plenty of space for all of your necessities. 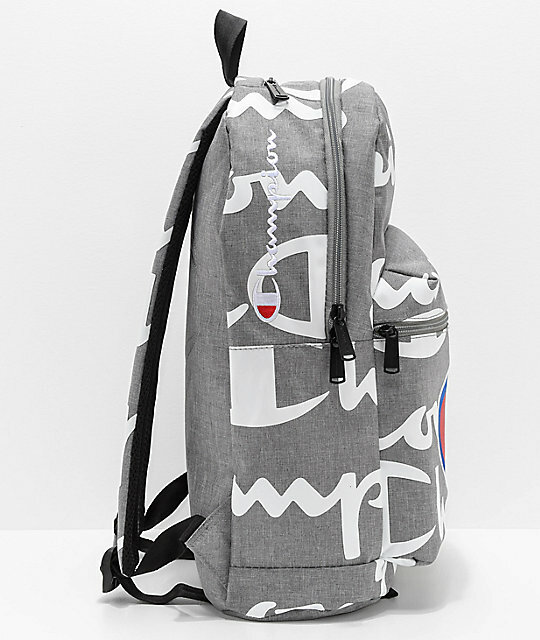 Supercize 2.0 Grey & White Backpack from Champion. Heather grey with white Champion script throughout. 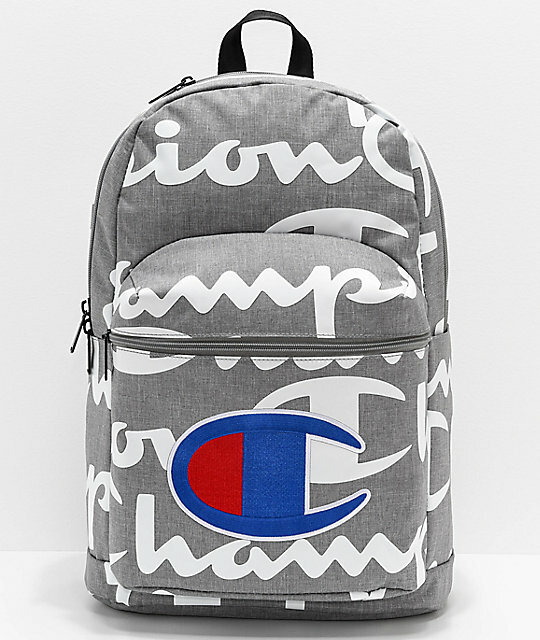 Embroidered Champion "C" logo at the front panel. 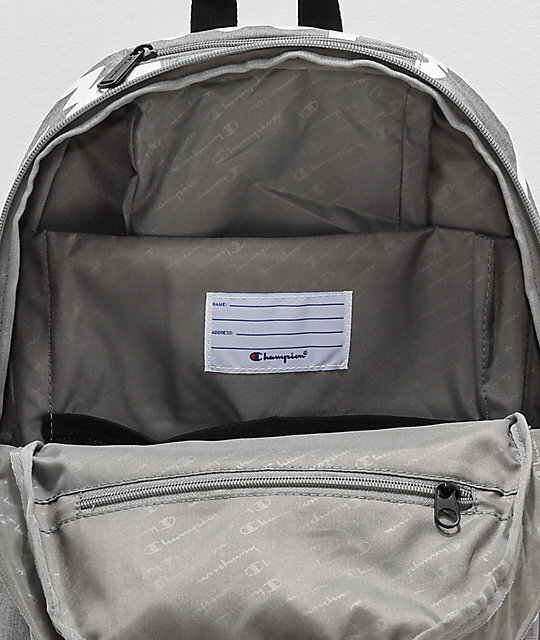 Roomy main compartment with organizer panel & padded laptop sleeve. Top-loading zip tricot lined sunglasses compartment. Exterior side water bottle sleeve. Custom zippers & rubber pulls for grip. 15" (38cm) padded internal laptop sleeve. Dimensions: 18" H x 11.5" L x 6" D | 45 x 29.2 x 15.25cm. Spot clean with water only.